Living in Baltimore, I get to jump over to Washington D.C. and Northern Virginia pretty regularly. However, I recently had the opportunity to travel south to Atlanta, which meant a return to a city I visited two years ago. Because of the change in scenery, I definitely did not want to eat at familiar chains I've seen in Baltimore. To find restaurants to try, I try to stick to cuisines that are gluten-free friendly. 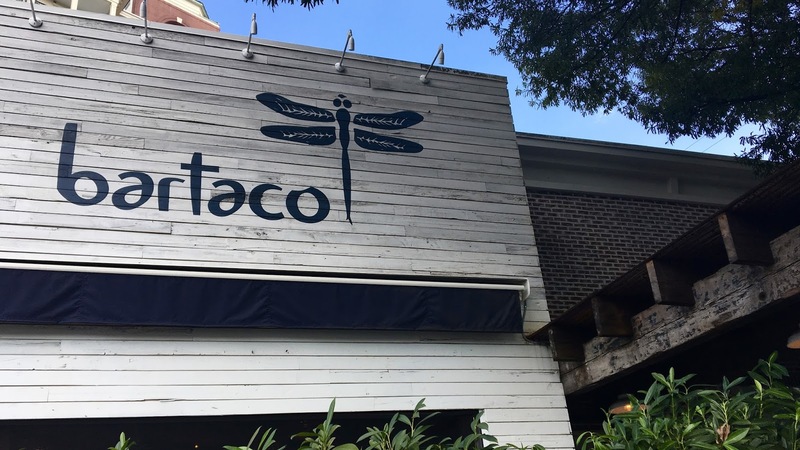 Bartaco caught my attention because tacos definitely qualify as typically safe gluten-free territory. The options are plentiful and you really cannot go wrong with them. Bartaco's menu focuses on tacos and rice bowls with other options on hand (soups, salads). Gluten-containing items are marked, though the lack of an asterisk alone does not mean smooth sailing. The fryers are not dedicated gluten-free, so beware of fried items including chips. The ordering process is a little different at Bartaco, you write your orders on sheets, which the staff pick up and take to the kitchen. This means you do not have a consistent server throughout the experience, but the sheet also provides an opportunity to write your dietary restrictions to make sure they are relayed to the kitchen. That being said, I did inform the waiter who took my order sheet and she assured me that the order would be treated as an allergy order by the chefs, meaning extra precautions would be taken. I ordered the lunch special, which was a choice of three tacos plus a salad or soup all for $10. It was the most affordable way to sample many menu items, so it's a great option for those of you waffling about what to order. I ordered two chicken tacos, one cauliflower taco, and the chicken soup. 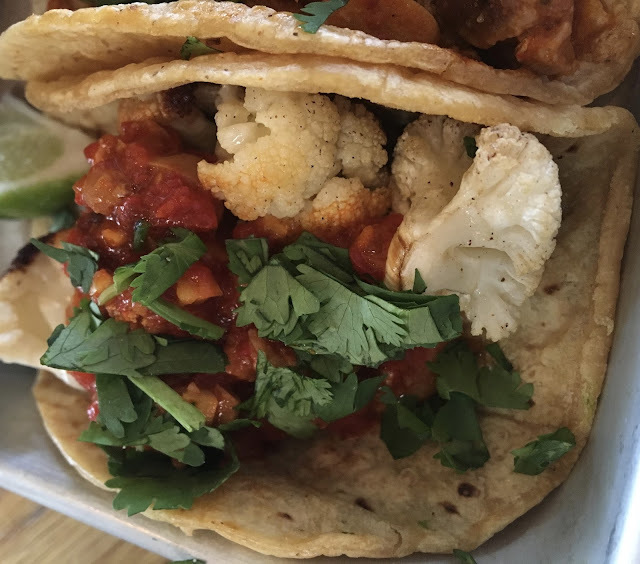 By far the highlight of the lunch special was the cauliflower taco, which definitely was a new experience for me as I had never had that kind of taco before. The cauliflower was topped with romesco sauce, which is a red pepper and nut sauce that had robust flavor and was not spicy. The tacos were topped with cilantro, which perfectly drew together the textures and tastes of the taco. The chicken tacos were more traditionally like other tacos I have eaten. They were topped with cilantro, onion, and guajillo chili sauce, which kind of reminded me like buffalo sauce. 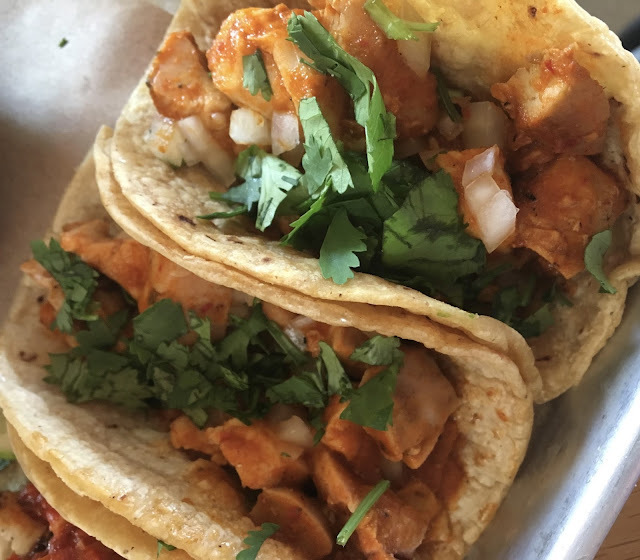 The chicken was tender, and the flavors good, but the tacos were just overshadowed by the cauliflower one. Between the two types of tacos, I liked how they were stuffed nicely and had a nice balance of central ingredient, sauce, and cilantro. The only complaint I have is that the tacos were single wrapped with only one tortilla, and they broke relatively easy, which made for messy eating. As a nice change of pace from the tacos, the soup was welcome on a chilly (for Atlanta) day. 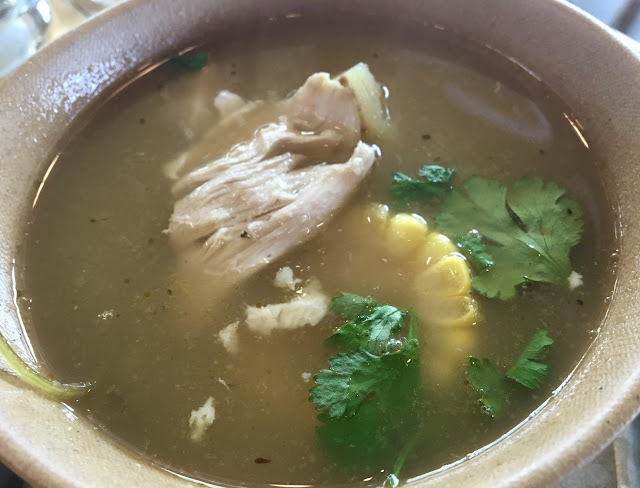 A rich, flavorful chicken broth was the star of the soup, and it was joined by thick chicken slices, potato, onion, corn on the cob, and cilantro. It was the perfect comfort food, and contrast from the line up of three prior tacos. Overall, Bartaco is a solid restaurant to find a gluten-free, dairy-free meal. 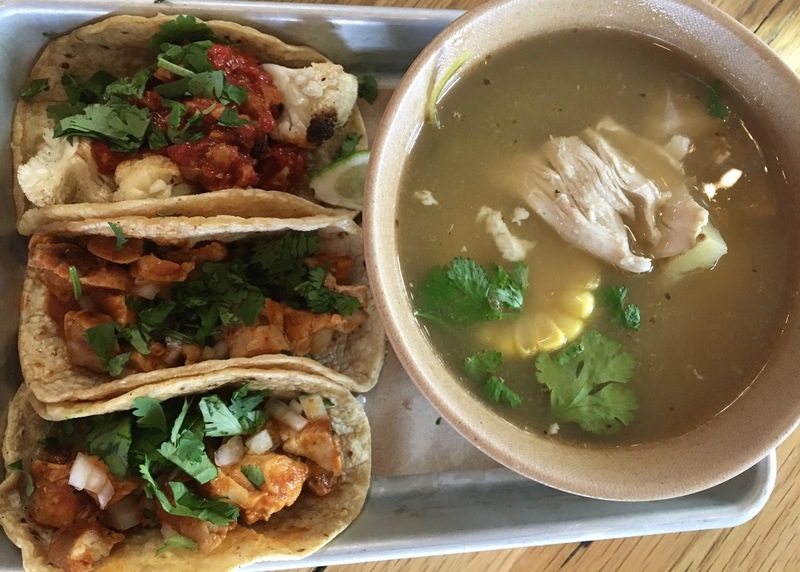 While the cauliflower taco and soup were the highlight of the meal, the chicken tacos were a bit mediocre so the overall meal was a net neutral. The value for the lunch special was really good, and the staff were educated, which made the experience good outside of the food itself. 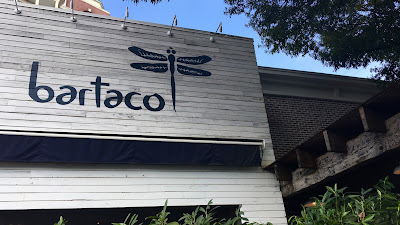 While I don't know if I will rush back to Bartaco on my next pass through Atlanta, I would recommend it for gluten-free eats.